Remember how DreamWorks Animation was firing on all cylinder and hiring people left and right? It was the place to be with a long production schedule that meant a long tenure and job security. And then the economic hardship that happened last year? There have been a few layoffs at Disney over the past year or so, but not that many. It's actually a fairly lean machine right now. 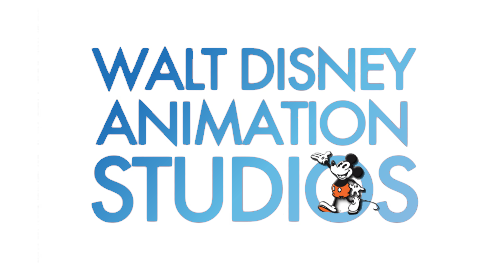 The Walt Disney Animation Studios has had a good bit of success over the past few years. The dry spell that was a decade worth of films that topped off the Eisner years was over with the arrival of "Bolt" It was a bit of a hybrid, coming from a story that Chris Sanders had conceived called "American Dog", up until he was sadly let go. Lasseter brought in a fresh crew and they reworked the story more to his taste and what he felt audiences would like. Then came "The Princess and the Frog" which hearkened back to the glory of the early 90's musicals in form, and glorious hand drawn, but with limited box office results. Then came the first fully formed film of the Lasseter generation at Disney: "Tangled", which went on to become a huge success both critically, and financially. This was the success that animators working in the Hat Building had been waiting for. Many were tired of their younger sister up north getting all the credit for the great animated films coming out of the company. They knew they could make them if just given the chance and this was their moment to shine. But don't think that the new films of Disney Animation would just be fairy tales. When you wish upon a star can mean more than just a tiara and a carriage made from a pumpkin. The thoroughly modern, totally hip, and culturally relevant "Wreck-It Ralph" came out last year and showed that the films of the Mouse don't all have to be classic in approach as well. But the times since Eisner left have resulted in Disney working on creating a better branding of itself. Pixar has an identity that is clear when you see Luxo Jr. hopping across the screen. You know what you're going to get. With Disney, it used to be that way, but from the later 90's on it became less clear. Some people had trouble defining what is and what should be a Disney animated feature. Glen Keane has said it best I think (paraphrased): Pixar's motto is "Wouldn't it be cool if" and Disney's motto is "Once Upon A Time". This year we go back to the classic appeal of a fairy tale with WDAS's "Frozen", a story inspired by "The Snow Queen", but not a literal adaptation. As Tangled wasn't exactly "Rapunzel", neither will this film be to the Hans Christian Andersen story. That being said, it will be entertaining, lovely, funny and absolutely Disney. The Disney that was started when John Lasseter was brought in. It's taken a while to get the entire place moving as an organization that has a unique culture. Especially since the 90's fractured that culture, and it takes time to rebuild it. And you have to want to construct it back in the right way: the Disney way. After this year's film, the studios next one is the most unusual story for a Disney film. "Big Hero 6" has been in development for some time and if you've read our updates then you know that we've given you hints (marvelous new film) about it over the last couple of years. But we couldn't reveal too much for the safety of our Bothans. If you've seen the test shot that was released then you realize that this film is going to be headed in a different direction that what you're used to when you think of the name Disney. And that is what you can expect over the next slate of Disney animated films. They won't be from the same mold everyone is used to. They will be absolutely Disney though. Just remember that what we talk about here is "blue sky", which means it's what is planned and not what you will finally or necessarily get. Things change during the development and certain films, or their ideas will have been changed by the time they make it to the big screen. And the release dates are simply guide post, they're not written in stone and a few may change, but the list we gave you last week is the map ahead. Barring any obstacles, it should remain mainly a consistent clue to the direction Disney Animation is headed for the foreseeable future. Now you know that BH6 is the 2014 release and the list that was announced the other day started in 2016. Did they forget to include the 2015 release? No, they didn't. There is no WDAS film for 2015. This could change, but as of right now, the next film after 2014, is the new film from Byron Howard in 2016. This is the film you've heard the rumors about Jason Bateman starring in. While I can't say much about it, lets just say that the story is evolving into a very funny, sweet take on wildlife from a different point of view. After that the schedule isn't set, but several projects will be in a race to get that next slot at the end of 2016. Right now Dean Wellins has a genre-hybrid film that he's working on that is lined up with Bob Iger's strategy of getting more of the young male demographic to seeing Disney films (Marvel and Star Wars were bought for this purpose). But if it makes it in 2016 is entirely up to how the story is developing by then, and any trouble by Lasseter and his Story Trust (WDAS version of Pixar's Brain Trust) would mean that another film would get called up to the slot. What other film could be next? Or if not then, which one would be the next one released for 2018? Another prime candidate would be Ron & John's new film. If it's ready, it could be the later 2016 film, but as of now it's more likely to be the first 2018 release. Their new film is of the Polynesian persuasion shall we say. And it could turn out to be the duos first computer animated film. It's not in concrete now, so don't everyone get upset. They're currently working on the story for the most part, but test are being done to see how the characters act and look in computer form as well as a hybrid solution (think: Paperman). A while ago, Ron and John pitched two different ideas to John and the Story Trust and this particular story they're working on was the one the Creatives gave the green light. It's gone through several versions and will likely go through a few more before given the approval to move forward into actual production. And before anyone asks, there is/was no movement on "King of the Elves" at this time. It doesn't mean there won't be any, but as of right now, Chris Williams is busy helping on other projects right now and John and everyone feels that they'll just let this story sit for a while. It doesn't mean that it's dead, I mean, look how long it took for "The Snow Queen" to actually make it into production. And what it became is miles from where it started out, so who knows what it'll look like when/if it makes it to the silver screen. Animated film take a long time to come together. It doesn't mean that you won't see it be one of these films, but it's not one as of right now. There are a couple other projects that are in very, very early stages that Lasseter has signed off on to develop, but not much will be known about these until they've been run through several story sessions. So no news to report on these films since they're more of an idea at this point. So that, in as brief an update as I can give you is what's happening with the current state of the current slate at the Hat Building. Honor is always writing in code. When he said "Marvelous film" he was referring to a Marvel film. Now he says that a new one is "evolving"? It must be some take on evolution, and since it's an animal film it makes me wonder. I love how you make us work at figuring out what you're saying. Thanks Honor. You read a lot into things, don't you? You didn't say he was wrong, Honor. What is a genre-hybrid movie? Thanka Honor! And you wouldn't be able to say if any of them are of the musical persuasion would you? Or is it something you don't know yet? Honor, how about Nathan Greno's movie? You didn't mention that one. Has it been shelved? Since I don't usually identify films based on the people involved in them, what is this 'Ron and John' film? I read somewhere that there was a film called 'The Name Game' about Rumpelstiltskin - was that rumor about one of the "maybe sometime in the future" movies Lancaster is looking into? Who is Lancaster? You mean John Lasseter? The head of Disney and Pixar animation? As for Ron and John, that's Ron Clemens and John Musker, but all you had to do was click on the name and it would tell you who it was. There are links on that article to all the directors. I don't think he was talking about Rumpelstiltskin since he used the term Polynesian. The Name Game, I'm not sure of. Chauncey, thank you for responding. I actually just meant that I couldn't tell what MOVIE was being refereed to when just a person was mentioned (I did end up clicking on the provided links to see if there were any 'in developement' films listed under the individual's credits, but sadly they did not have such things listed).